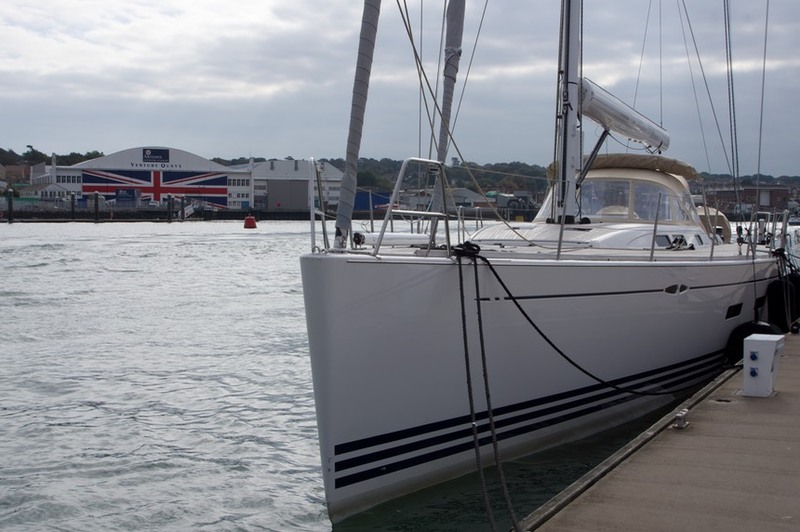 In Cowes on the Isle of Wight we were joined by Julien Renault, the service manager for X-Yachts in Hamble who will ultimately be responsible for the safe wintering of Katherine. 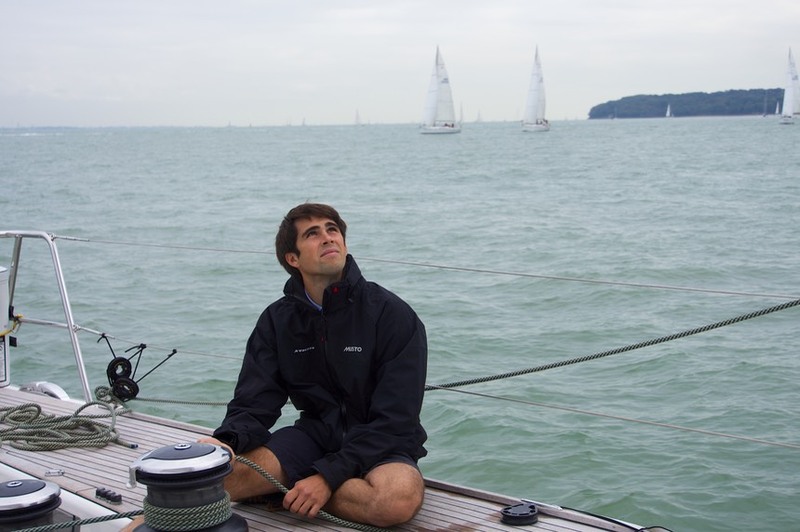 Julien took the opportunity to sail the short run from Cowes to Yarmouth - though the sail may not have been the correct description as the weather had other ideas. Try as we might the light conditions became too light and after a defiant effort to keep the A1 going it was time to resort to the power of the engine. Yarmouth is on the north western side of Isle of Wight and we had been here just on 18 months ago - as we were heading west for Ireland and Scotland. Despite this now being our second time into harbour we still have not had an opportunity to explore much of the island apart from the harbour area - next season perhaps. The purpose of this trip was to join a group of X-Yacht owners for dinner to celebrate sailing and of course X-Yacht ownership. 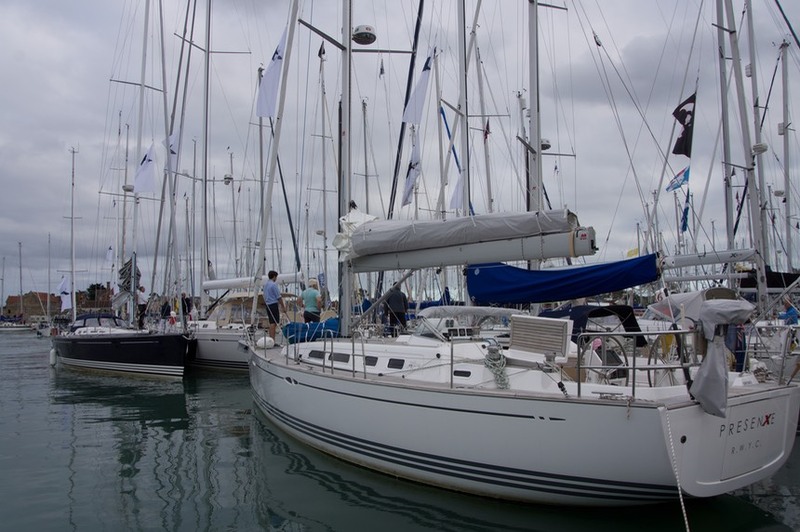 To confirm how small a world it is an X50 rafted up to us and onboard were Dee and David Murray. We had last seen Dee in St Lucia in December 2012 after she had crossed the Atlantic onboard an Oyster called El mundo. On Saturday night pre dinner drinks were held onboard Katherine - unfortunately amongst the flurry of helping with food preparation the opportunity for a group photo was missed but Katherine definitely now has a new maximum onboard record of around 30 people! The Yarmouth harbour was full of boats as it appeared a lot of people had the same idea of celebrating the last of the summer season. It was a great atmosphere to share with others having incredibly good weather for so late in the season. To top off what had already been a great weekend we sailed back to Hamble again with Julien onboard but this time with full main and genoa and Katherine truly flying along on her way back to Hamble. 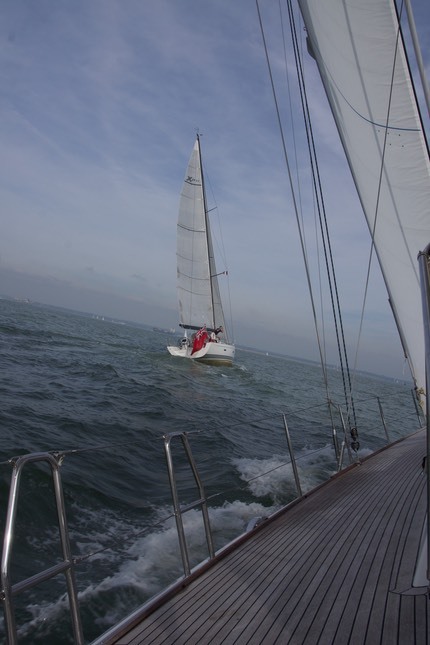 Of course having an XP44 out in front of us as a target (the Xp had left some half hour or so before us from Yarmouth ) set a good challenge - the scenario two boats on the water its a race? - well it was with a smile on the skippers face that we overtook them just as we needed to drop our sails coming into the Hamble River. 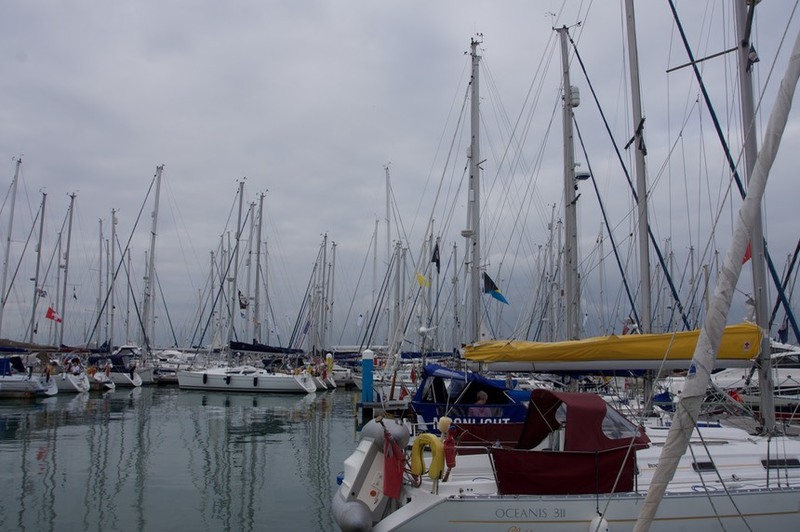 The sailing season just ended on a definite high note, good weather and a spirited sail.